Fair Immigration vs. Anarchy vs. Liberalism--A Cat Of Many Tails! "It was the best of times, it was the worst of times..." said Dickens at the opening of his famous Tale Of Two Cities; A timeless phrase and applicable to the current quandary America faces over its consideration of the current immigration conflicts. Even liberals are mixed as many of them want freedom of movement between countries and they even feel sorry for those without what they need in their home countries. But they also have a heart for those in America who can't make a fair living because immigrants and the all-too-willing employers force wages down. Of course Republican are rubbing their hands together, happy about the minorities clashing with one another. "Divide and conquer," say they. It seems that many have even become confused about who serves who, regarding the proclamations of corporations rights to have cheap labor versus proclamations of workers to have protected fair-living wages. The corporations and those who own them are winning by default, as doing nothing allows them to continue to hire immigrants illegally and hold them as effective slave labor. They know these workers can't quit so easily or complain about unfair treatment. Many lies prevail: "Americans wouldn't do these jobs", "Blacks would even do these jobs", "Illegal immigrant workers are essential to our economy", and the list goes on. The fact is Americans have done these jobs in the past for a higher wage than they currently pay. Construction jobs in California paid far more 10 years ago especially when accounting for inflation. Also, one finds kitchens full of non-English speaking people, mostly illegal immigrants, making it impossible for Americans who speak English only, to work alongside them. The same is true of farmworkers. A poor English only American who is otherwise willing to take such jobs is faced with the inability to communicate thus losing the job even if he is hired. After the language barrier creates a roadblock to the legal worker, the illegal ones then demand higher pay. The result is $50/hour incomes for illegal immigrants in some cases. If you want one of these jobs, call Senator McCain's office or go to this site, Project USA. They will direct you to such jobs. They are difficult and maybe impossible if you don't speak Spanish. Even in the legal immigrant job market, we have companies lying on their H-1 applications in order to hire people from the company owner's home country. They create job descriptions that require say... Chinese; no Americans apply and they can then hire their Chinese compatriots to fill their factories in, for example, City of Industry, CA. 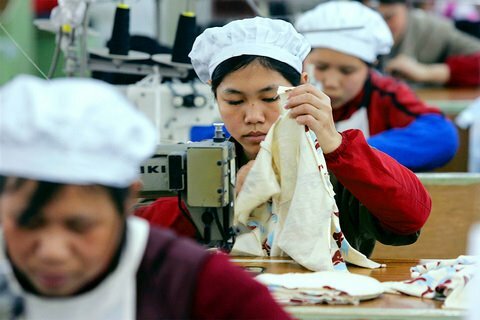 Once they have so many Chinese workers, their previous lie becomes a self-fulfilling prophecy, making it necessary to recruit even more foreign workers. The employer can control these people, pay them less, and even abuse them without reprisal. Corporations claim they have a right to create this scenario, but they forget "People have rights" and "Corporations and governments are supposed to serve people" not vice-versa. I have personally witnessed one company, PC Club, in California, with several stores and and a huge distribution center/factory in City of Industry, claiming on their H-1 applications that they are "developing multilingual software" and they need to hire bilingual people. 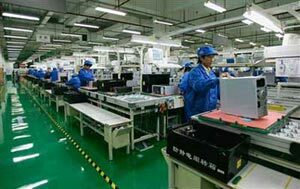 Without even having to wait for approval, they hire Chinese workers at every level within their company, from retail store managers to advertising layout departments to high-tech assembly personnel. These are otherwise the kind of jobs Americans would love to have. One US citizen employee did, in fact, inform the INS. After finally failing to get a live person on the phone, he left a message and followed it up in writing. There was no response. Thousands of companies in that area have learned from each other how to play the game and have hired uncountable foreign workers to displace Americans. I don't blame the workers; they just want to make a living and live the American dream. Some do; others are horribly abused. One such Chinese/Taiwanese worker, one Myron Chang, a Georgetown MBA, when he tried to blow the whistle on PC Club, was fired. He went to several lawyers who threw up their hands. Anyone with this legal expertise makes a great living defending such companies not helping workers. They laugh at complaining Americans knowing the INS is complicit. As a longtime political liberal I am torn. I have lived in many countries and have befriended foreigners who wish they could play by the rules and have a chance of getting in. We have no room for the honest ones, because the dishonest ones keep pushing them to the back of the line while crooked employers do the same and government agencies whose jobs it is to prevent it, actually help them by sitting on their lazy hands or sticking their hands out for apparent payoffs. It is so out of hand that people are pretending their are no solutions. Well, there are, and it's not building a 700 mile wall and hiring thousands of border patrolmen. It is hiring several Justice Department Prosecutors and going after the employers and putting them under the jail, making examples of them, creating a chilling effect that would make a heavyweight boxer shake. For the moment, it is smoke and mirrors from immigrant groups, foreign worker unions, corporations, rich politicians and even the INS itself. The only way we can cause proper reaction is to take action by cutting and pasting articles like this one and sending them to your Congressmen, Senators, the President, Newspapers, and to each other in order to create a groundswell. Otherwise, sit on your hands; pretend nothing is wrong and get ready to allow California, Arizona and South Texas to secede from the union, be taken by criminal force, or to be reabsorbed by Mexico. And yes, you will be asking them for the jobs back they took from you, but at a far lower pay.